She was born as a daughter of a traditional ricewine-brewing family, with seven siblings in the happy home. Her parents instructed her in the good behaviour of her times. Her father was Yoshitsuna 寿綱, her mother was Taka たか. When she was 31 years, her busband, Arioka 有綱 died suddenly. She had to take care of the family business and three children. Because of all this hardship, she finally fell ill.
A haiku poet who lived close by, Ishii Ukoo 石井雨孝, introduced her to the pleasures of writing haiku. She gained her health back soon and wrote haiku to her old age of 90 years. 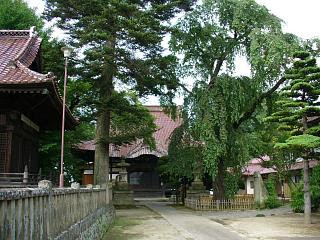 She even travelled alone to Edo at age 48 to study about haiku and was quite emancipated for a woman of the feudal ages. Her travel record is "Edo Nobori 江戸上り" . Her most important collection is 浅香市集. Some of her poems are even printed in school books. She was an ardid admirer of Matsuo Basho. 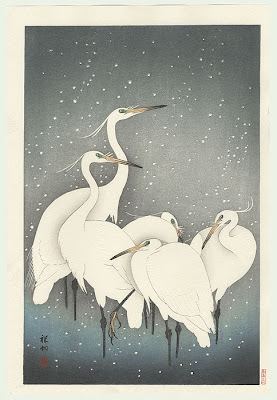 in the country's inmost part.
. WKD : Gabi Greve : Haiku from Tohoku .
. fuuryuu, fûryû 風流 and fuuga, fûga 風雅 elegance . "Tayo-jo, 1772-1865, was the wife of a certain Muranaga and learned haikai at first from Michihiko, then from Otsuni. She went to Edo in 1823." "The 'chinchooge' is a flowering bush, ith an extremely strong, sweet smell." "A verse which sounds like her death-poem; she died at the age of ninety three." "We come now to the lowest point in the history of haiku, the period between Issa and Shiki. Shiki was born in 1856, and Issa died in 1827, so this time is about the fifty years between 1827 and 1877." Here come the young sparrows! A haiku pupil of doctor and poet Michihiko (1757-1819), Tayo moved to Edo in 1823, where she lived as a haiku master until the age of ninety. Her two sons also became good haiku poets." Click for more Heron kigo.